Fresh off the Sewing Table! 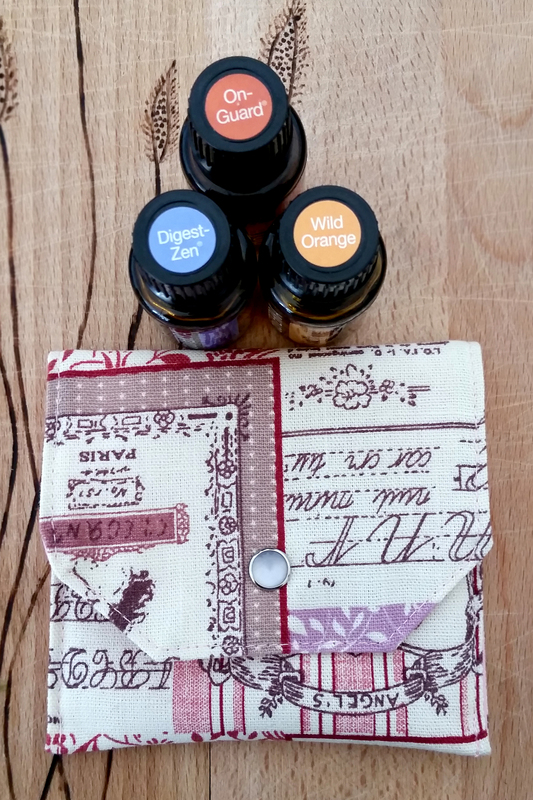 This will be a fairly short post today as I need to get back to my Sewing Table and get more of these Essential Oil Pouches done. Click here to see more pictures and for the product description. I wanted to share this one for sure as I have been using this little bag like nothing else in the past 5 month for my oils. I mostly carry two of these bags with me. One for kid needs and one for my needs. This bag is oil cloth lined and has interfacing for extra stability. They are great for little gifts, incentives for your EO business or for pretty much any occasion. After a while it takes on the best Essential Oil smells. So good! Soon I will have more fun patterns as well but take a look at this cute french one or at some of my Lavender Sachets as well. See you at my Etsy store! Previous Essential Oils – How and Where to buy them?